The current passport mess is rare among government foul-ups: A top federal official has publicly taken the blame and expressed regret. "Over the past several months, many travelers who applied for a passport did not receive their document in time for their planned travel. I deeply regret that," says Assistant Secretary of State Maura Harty, who is in charge of passports for U.S. citizens. "I accept complete responsibility for this." In an effort to thwart terrorists, the government implemented new rules on Jan. 23 requiring more Americans to have passports. By summer, more than 2 million Americans were waiting for passports; half a million had waited more than three months since applying for the travel identification that historically has been ready in six weeks. The massive backlog has destroyed summer vacations, ruined wedding and honeymoon plans, disrupted business meetings and educational trips. Individuals have lost days of work waiting in lines or thousands of dollars in nonrefundable travel and lodging deposits. And Congress has been overwhelmed as constituent pleas for passport help soared from dozens a year to hundreds a month in many offices. The culprits have variously been identified as inept planning, underfunded preparations, popular misunderstanding of poorly crafted government advertising, unanticipated effects of public debate over immigration, tardy and ill-considered responses to the developing crisis, and even partly on Hurricane Katrina, which damaged the New Orleans processing office. Some in Congress wonder if the effort hasn't actually harmed security. 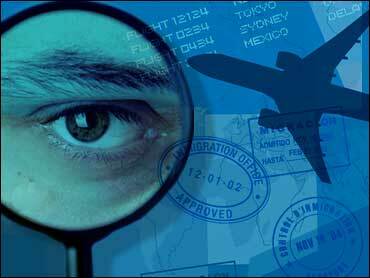 Others question whether more passports actually contribute much to security at all.